Looking for best Creatine Pills For Muscle growth? You came to the right Place! Here is the list of the Creatine Pills that are good for building muscle without hurting your pockets!. CREATINE POWDER VS PILLS, WHICH ONE IS MORE EFFECTIVE? When should you take creatine for best result? Creatine HCL capsuless has made it in the list of best creatine 2019, HCL capsules absorb faster to help improve mass, increase endurance and increase recovery speed. what I like about this particular product is it has a 5-star review on Amazon. MET-Rx creatine surely deserves to be in our best creatine pills for muscle growth for a lot of reasons, MET-Rx is affordable yet bringing you the best quality of pure monohydrate. Optimum nutrition creatine is made from creapure creatine monohydrate, it deserves to be in the top 5 best creatine pills due to the ingredients included, optimum nutrition creatine has no fillers or addition which makes it one of the healthiest dietary supplement. It comes in different sizes which is cool; you have the 100 capsules, 180 capsules, and 300 capsules, which means if you have any doubt you can always purchase the 100 capsule which is cheap considering the quality and the brand it comes with. Last but certainly not least, kreatine(TM) makes it in the list, kreatine (TM) contains 3 forms of creatine: monohydrate, phosphate, and pyruvate. Which helps increase energy levels, intensify workouts and build muscle. It is one of the most affordable creatine capsules on the market, and it is trusted with over 350 reviews on amazon.Com which is one of the best online business. Creatine is an Amino Acid Compound which works hand to hand with Adenosine Triphosphate (ATP) which is responsible for keeping muscle healthy and prevent injuries during high exertion activities when you use your muscles. The muscle uses ATP to perform the task, The more you workout or use your muscle, the more ATP is used which is found in your musculoskeletal system. Using creatine supplements helps to recover and restore the ATP as a result more energy is produced, more sets can be done, more muscle is build and Good recovery rate. The answer is, both are more effective. Creatine Capsules(pills) merely is Creatine powder that is converted into a tablet. So as you can imagine there are both the same thing, but there is a slight difference in absorption speed as you guessed it Creatine powder absorb a little bit quicker due to its powder form whereas Creatine pill needs the digestive system to break it down to powder first, but the speed doesn’t differ that much . It’s more of a Personal Preference. Another noticeable difference that is unrelated to effectiveness is Price. Creatine Powder is Slightly cheaper than the capsule. BOTTOM LINE: Both powder and pills are effective and has been proven to work the same. Creatine Boosts you with more energy and strength, which lets you do more sets than you would usually do when taking as a pre-workout supplement. Creatine Supplement supplies more water into your muscle making them bigger and pumps. Creatine is proven to be completely safe if taken a right. Creatine is one of the well-researched supplement, and the results are incredible, creatine is backed by research and studies to have an impact on energy, recovery, strength and muscle growth. Creatine supplements are one of the most affordable yet effective supplements. Put merely; creatine will supply you with extra energy, extra strength, faster recovery and give your muscle that puffy Pump look. Creatine can bring more muscle soreness( not a bad thing), but some people usually don’t like the pain. Taking Creatine Requires some research or at least some knowledge taking too much creatine can have some harmful side effects other than that it is entirely safe. Sometimes when we begin taking supplements for the first, we do not know how to consume it right. This may result in not seeing desired results; unfortunately, the creatine supplement requires to be taken with precision. Otherwise, it may be hard to see the desired results. 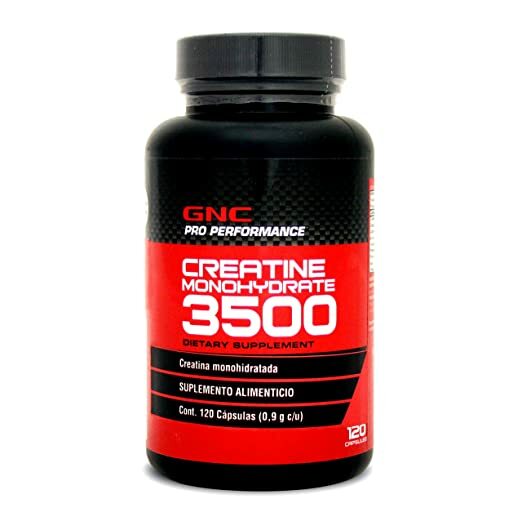 Fortunately, we are here to guide you on how you should take creatine supplement for optimum results faster. It is usually common for people to pass through the loading phase when taking creatine to help maximize the muscle stores of creatine. Then often moved to a different period, where the dose of creatine is lowered to what it should be, which is called the Maintenance Phase. NOTE: The Creatine Loading Phase is entirely optional, some people opt to skip it due to it may cause some stomach irritation to some people, but Going through the loading phase is one of the best practices, let’s get to it. For the first 5-7 days consume about 15-20 grams of creatine. This is one of the best and fast ways to load up the muscle stores with creatine to maximize it. Don’t try to overdose hoping to store more than your muscle can. If you are more prone to stomach conditions like Bloating, the best approach is to lower the dosage to 10 grams a day and prolong the loading days to 10-12 days. If you want to skip the loading phase, you can take a maximum of 5 grams of creatine for a month, which honestly is less beneficial but works as supposed to. After loading comes to the MAINTENANCE PHASE which is lowering the daily creatine dosage to about 5 grams a day, I have friends that take 2-3 grams a day which is still completely fine. But Remember for better results creatine should be taken consistently. Creatine is also most effective when taken with the best mass gainer supplements which are also known to maximize results fast. Creatine is okay to take and proven to have more benefits than effects please do take with cautious and please consult with professional physicist if unsure about something.